We’re a free, members-only buying club giving university alumni and students, their families and friends access to a range of carefully-curated offers. We work in partnership with universities’ Alumni Relations departments. You can see some of our partners on this page, with more inviting us to join them every day. We make some of the difficult things in life – like organising health insurance or making a will – more approachable and more affordable, while bringing you experiences you won’t want to miss. Want to visit the world with a hand-picked guide? Make anything as easy as pie at London’s most sustainable cookery school? Enjoy all the benefits of Priority Pass when you’re on your travels? We’ve got you covered. We do the hard work of sourcing and selecting premium benefits, negotiating group discounts and offering incentives so every member can enjoy our world-class services. Explore our great deals, check out the savings you can make and sign up today. And make sure you check in with us regularly – we’re adding new offers all the time. 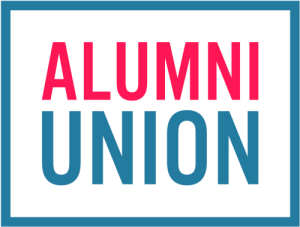 Anybody can join Alumni Union; your university doesn’t need to be a partner. If your university isn’t one of our partners and you think it should be, ask the Alumni Relations department to get in touch with us. Copyright © Alumni Union Ltd. All rights reserved. Registered in England and Wales. Company No. 09958050. Registered address: Kemp House, 152-160 City Road, London EC1V 2NX, United Kingdom.